Majority of smoker and enhanced annuity rates reduced by providers after little change of gilt yields following the Bank of England 0.25% hike of interest rates. 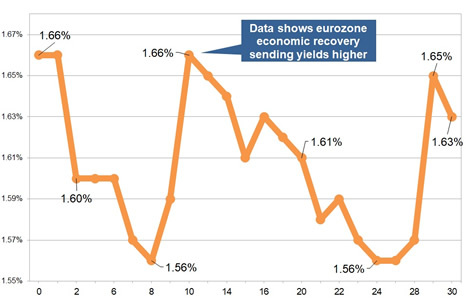 There was little change in the 15-year gilt yield down by 3 basis point to 1.63% during the month despite positive data that the eurozone economy has shown signs of further recovery. 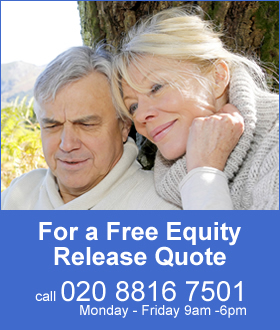 For smoker and enhanced annuity providers lowered their rates by an average of -1.08% and rates may increase by 0.78% in the short term. 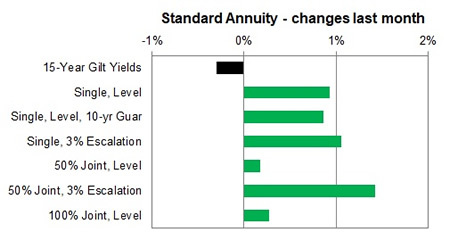 Providers of standard annuities increased rates last month and only a rise of 0.81% for this month and we would expect rates to decrease by -1.11% in the short term. 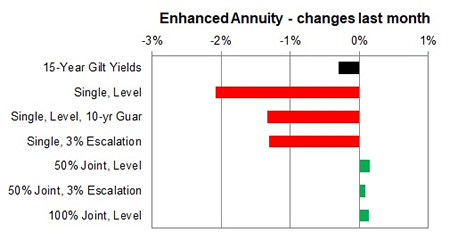 Standard annuities increased by an average of 0.81%% during the month. The largest rise was for 50% joint life 3% escalating rates aged 75 up by 4.41% for the month. The largest decrease was for those aged 55 to 60 on a single life basis lower by -0.79% for the month. For enhanced and smoker the majority of rates decreased by -0.89% for the month on average. The largest fall was for those aged 55 on a single life, level and 3% escalation the rates reduced by -3.78%.